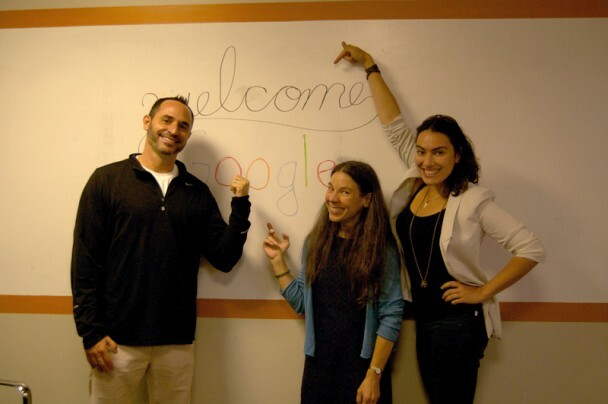 On Friday May 17th, 2013, Ninthlink welcomed two member of Google’s UI Team – Susan Petrick and Anya Kogan – to their offices in San Diego for a meet & greet. Both Susan & Anya came to Ninthlink to learn about all of our interactions with Google AdWords. Ninthlink was pleased to have such distinguished guests from the Bay Area; and even prepared a welcoming sign in the Google font and color scheme. We loved the outreach and hope to see more Googlers in our offices, more often. Previous PostGoogle Penguin 2.0 Is Here; Are You Ready?